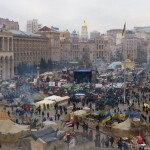 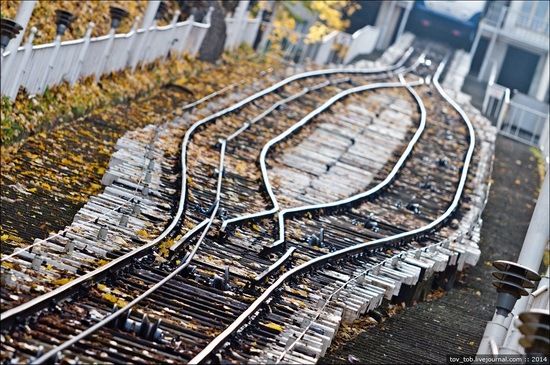 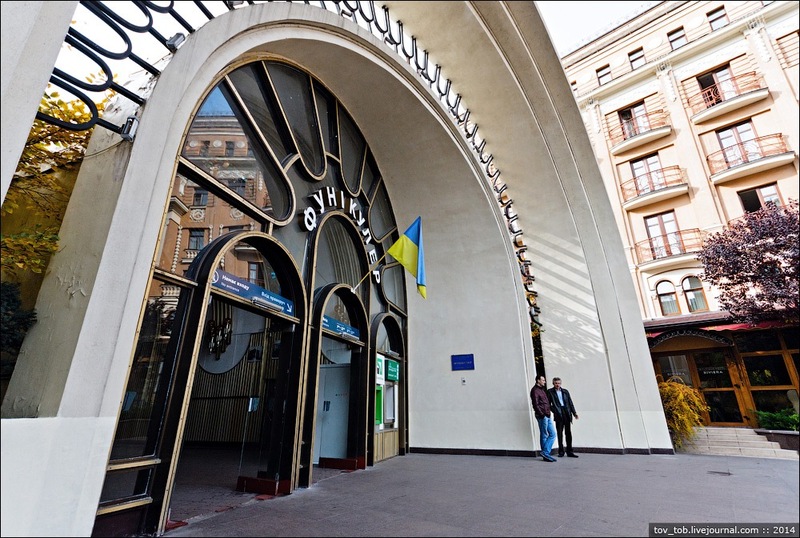 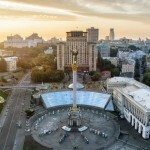 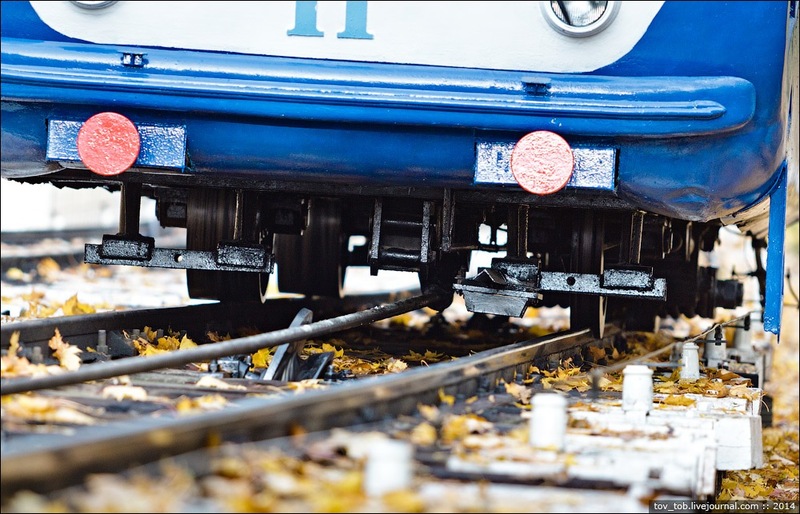 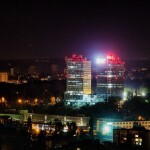 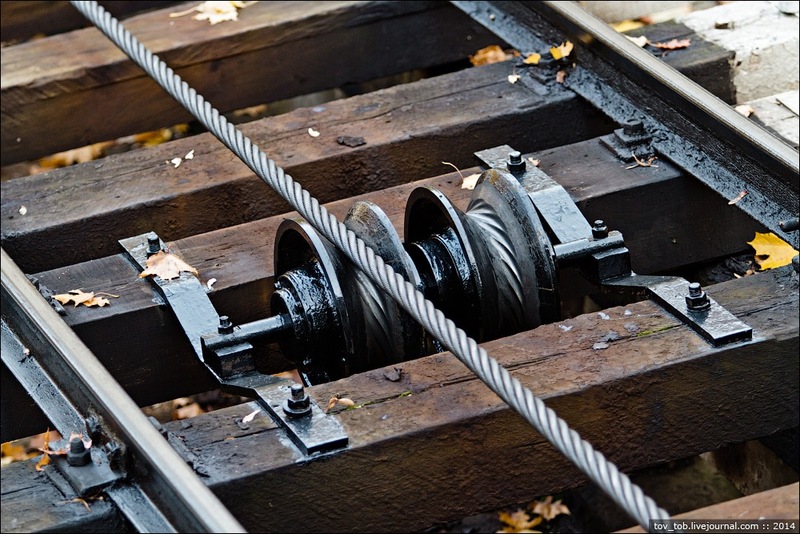 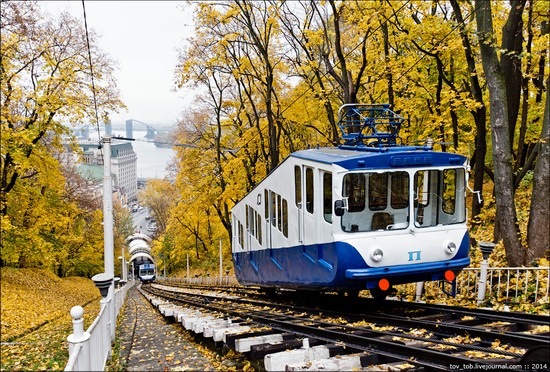 For over 100 years the residents and visitors of Kyiv actively use the cable railway connecting Podil (a historic neighborhood of Ukrainian capital) with the Upper Town (the oldest part of the city). 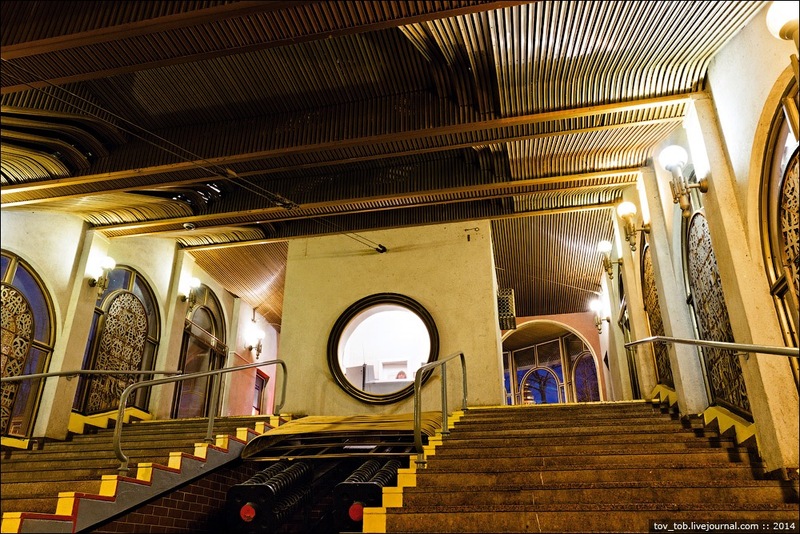 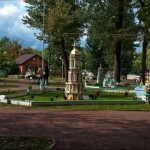 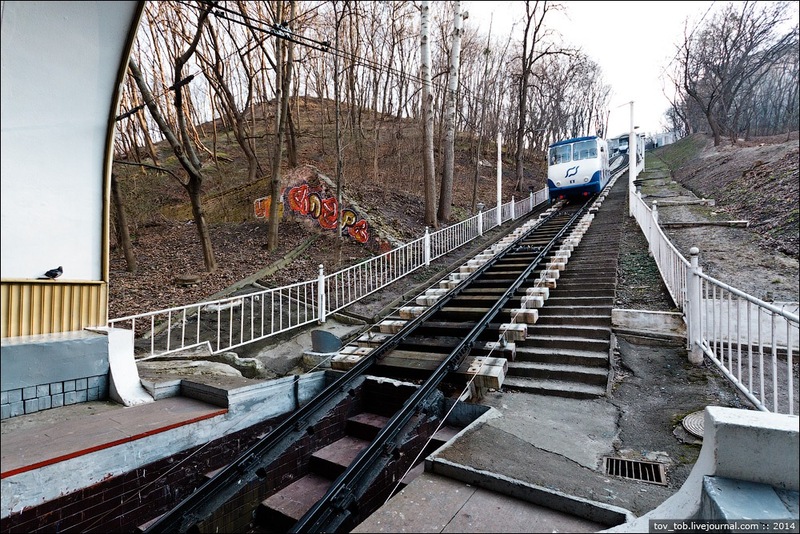 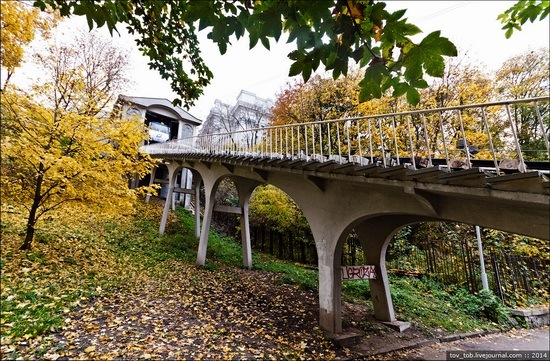 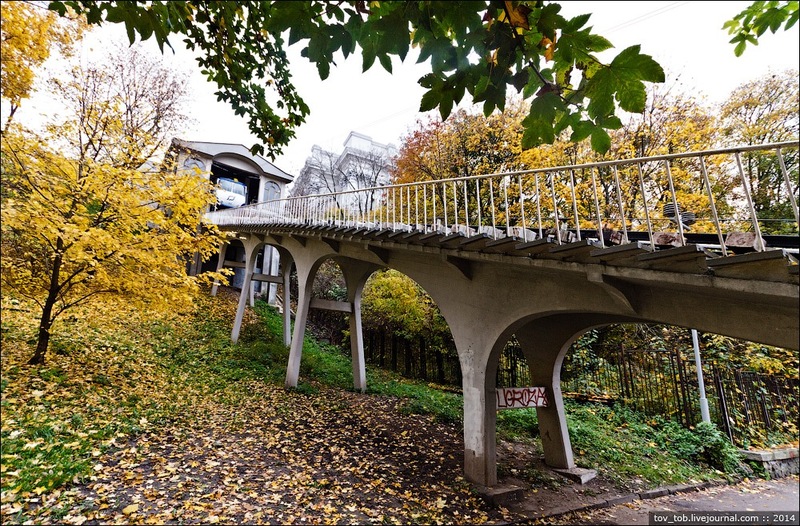 This unusual transportation system allows you to quickly ascend or descend the steep Vladimir Hill. The length of the route is 222 meters, the travel time in one direction is about 3 minutes, the height difference between the upper and lower station is 75 meters. 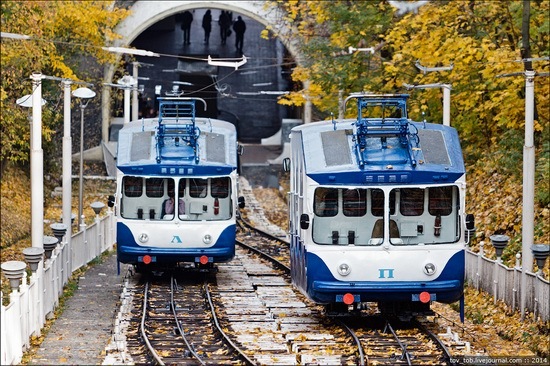 The cable cars are signed by letters “Л” (left) and “П” (right) relative to the upper station. 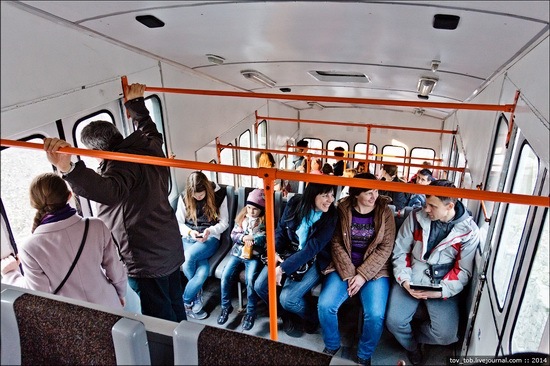 Each car accommodates up to 100 people, 30 seats are available. 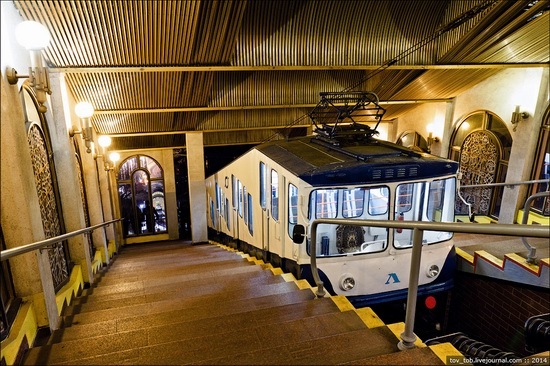 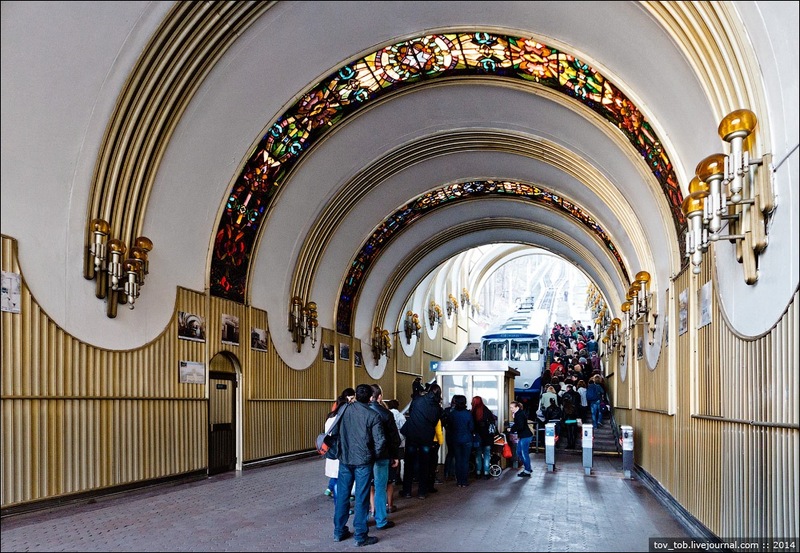 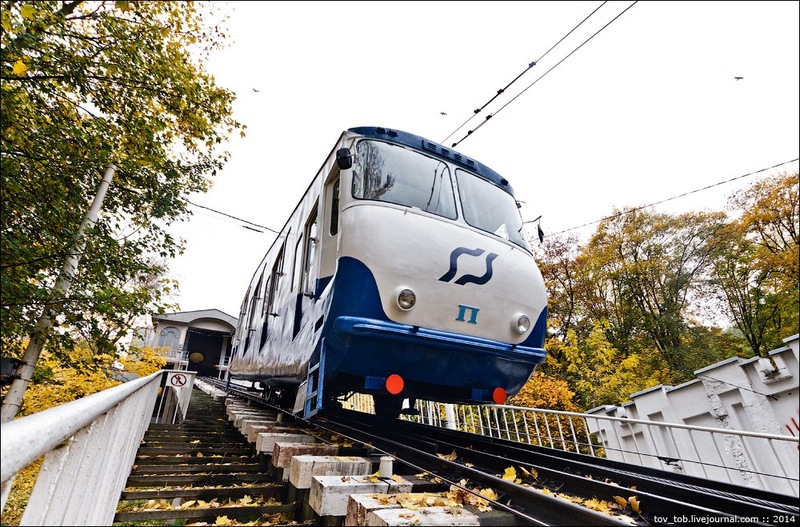 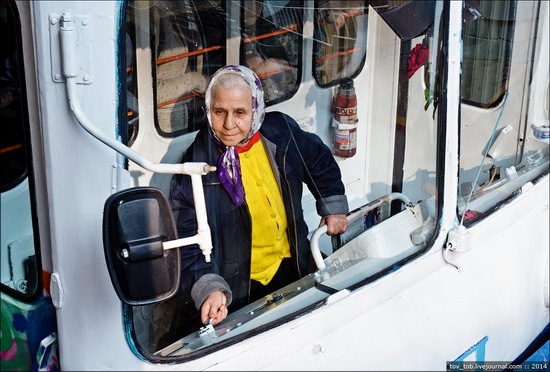 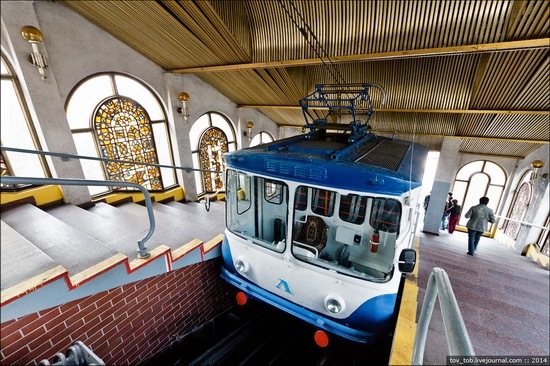 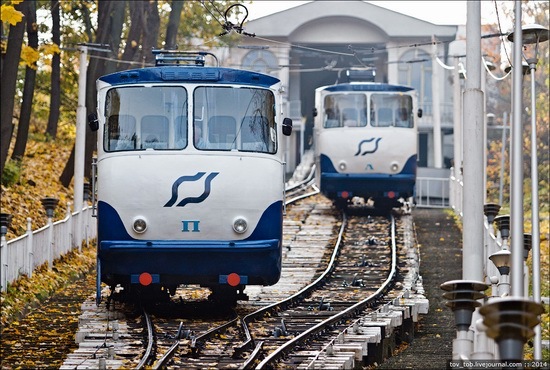 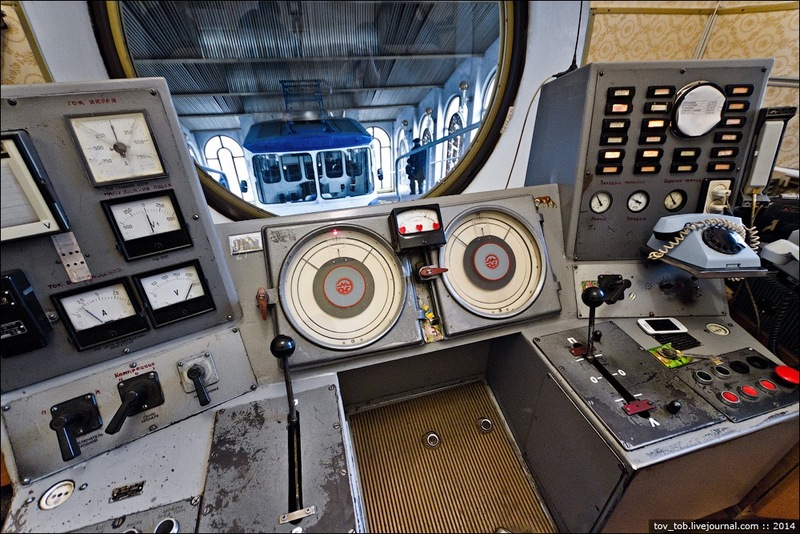 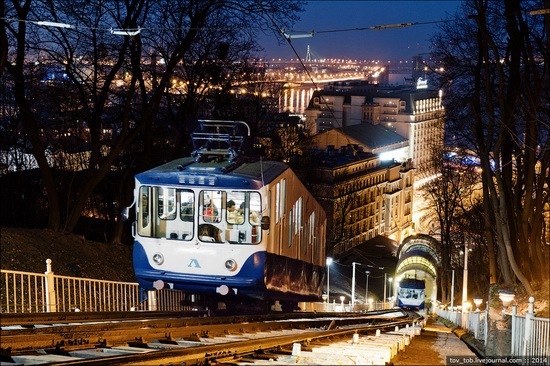 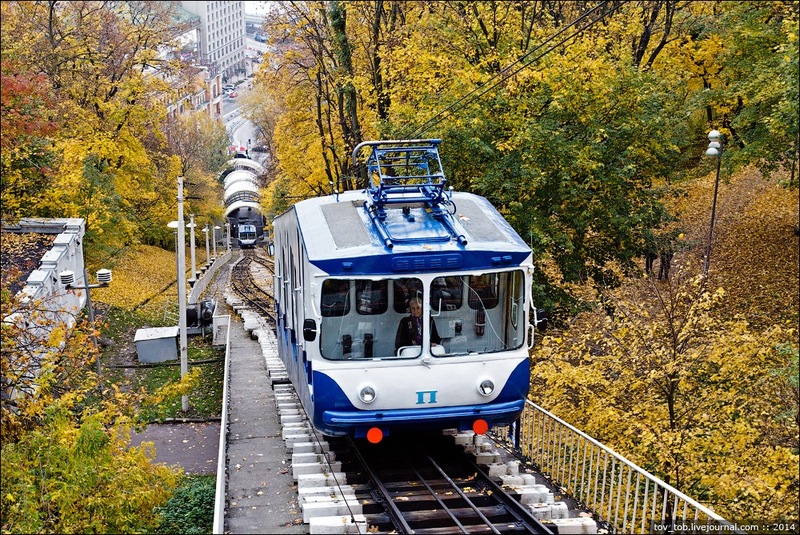 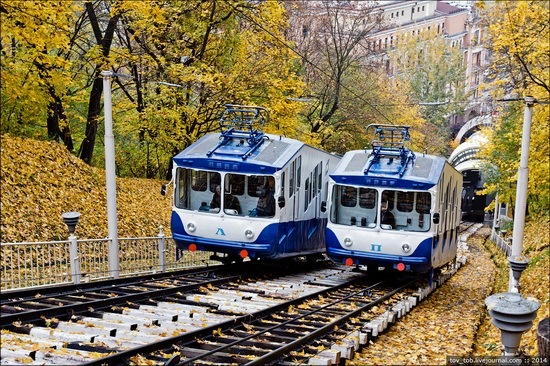 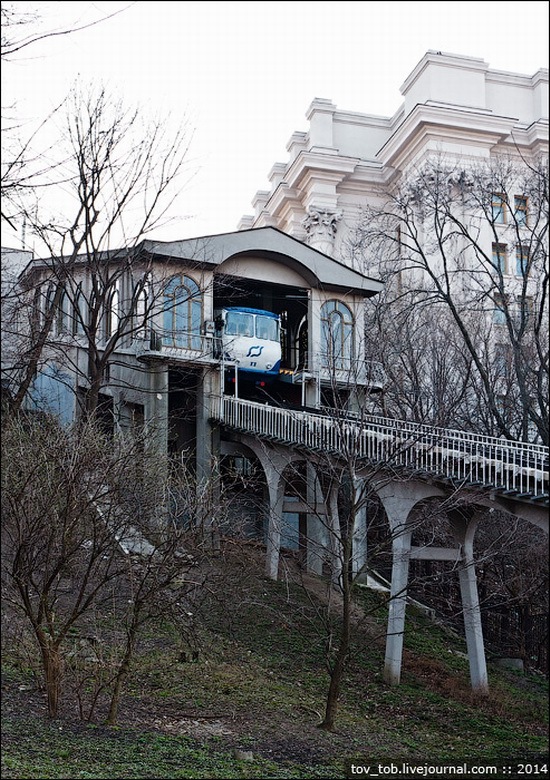 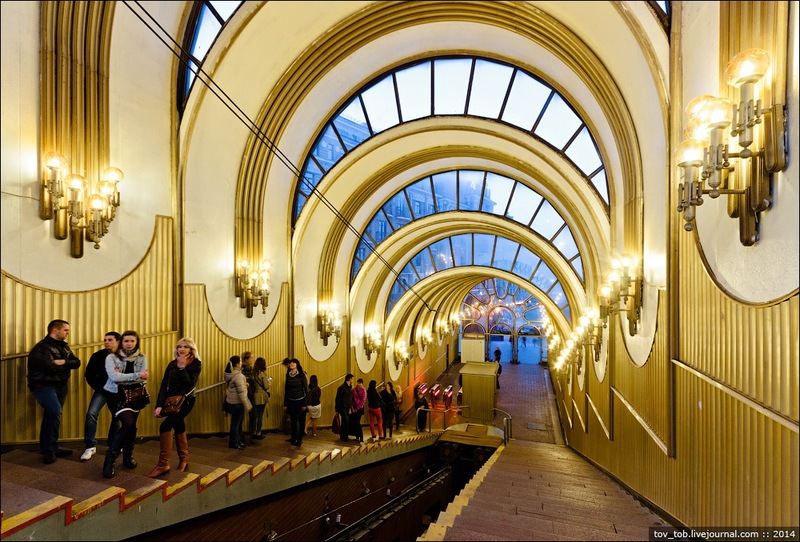 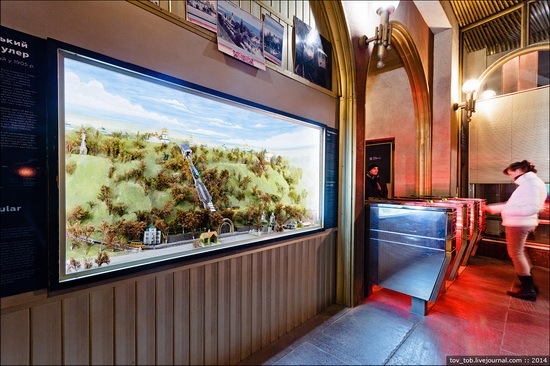 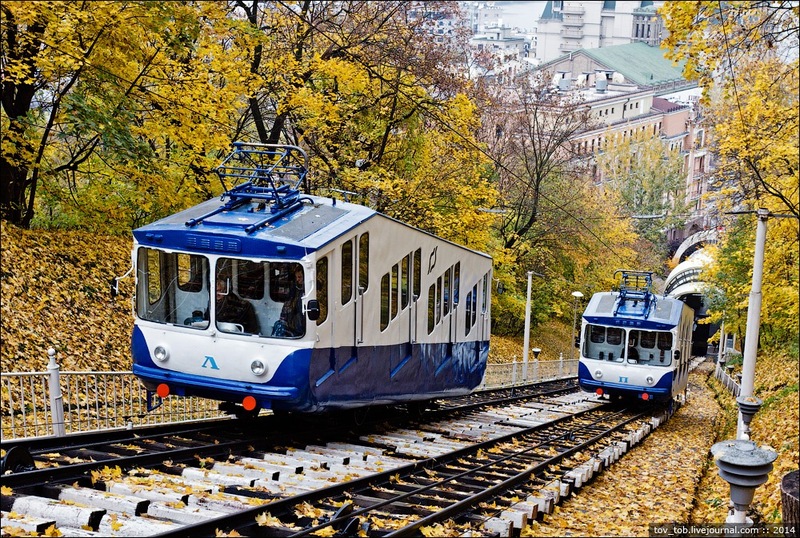 Currently, Kyiv funicular is actively used both as urban transport, and as a tourist attraction. Daily ridership is about 10-15 thousand passengers. On weekends and public holidays long queues happen quite often here.